Fort Albert (also known as Cliff End Fort), at the eastern end of Colwell Bay, was one of the forts built in the 19th Century (completed in 1856) as part of Lord Palmerston's defence plans against the French. Its location was chosen to defend the western entrance into the Solent through the Needles Passage. Shortly after completion, the Cliff End Batteries were built on the cliffs above which effectively replaced the fort. 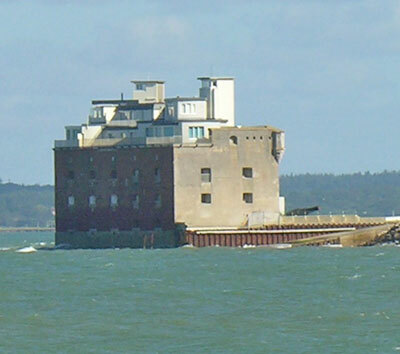 During WWII it was used as an observation post for ship movements in the Western Solent. It was decommisioned in 1957 and has been converted to private apartments.